Yin-Yin Ou appeared on Show 148, recorded in November 2006, at age 16. 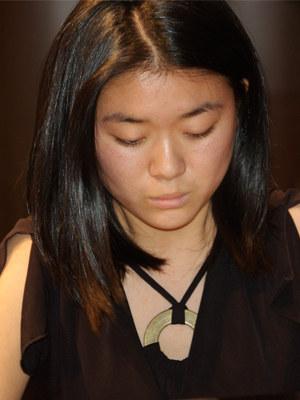 Yin-Yin Ou (piano), 16 is a resident of New Stanton, PA and a junior at Winchester Thurston School in Pittsburgh. A well-rounded performer, Yin-Yin began playing piano at the age of three and has also studied singing, dancing and acting. When she is not practicing with enjoys karaoke, drawing, shopping and imitating others. Yin-Yin is a Jack Kent Cooke Young Artist.